What might I expect with "in season" vegetables? Currently, we offer share pick-up in Bowling Green, KY at the Community Farmer's Market on Saturday morning and in Nashville, TN at the Hip Donelson Farmer's Market on Friday evenings. We are considering adding additional week day pick-ups, depending on our customer locations. Encourage your friends, family, or co-workers to sign up to help get a pick-up location in your area! What happens if I accidentally forget to pick up my share? Please contact us as soon as you realize you forgot. We will try to make other arrangements if possible. Please understand that, while your meat will keep if you accidentally forget, your vegetables will not. We pick our vegetables shortly before you receive your box so they are at their peak of freshness. Many vegetables are meant to be eaten within the week they are picked, so please put your CSA pick up on your calendar. We would hate for you to miss out on a whole week's worth of good food! What if I am on vacation or otherwise gone for the week? This would be a great way to share the benefits of a CSA with your friends or family! You're welcome to have someone else pick up your share and enjoy it during your absence or keep it for you until you return. Or, if you choose, you can donate your share (or a portion of your share) to a family in need in the community. If a long absnce is expected, or you would like to inquire about other arrangements, please feel free to contact us! Do I get to decide what is in my share? That would take the fun out of joining a CSA! We try to plant and raise enough so all shares get equal amounts of all vegetables and meats. We're not going to fill your box full of unknown meats and vegetables, but we will occasioally add a few of our favorites you may not be used to, and maybe you'll find a new favorite too! With that being said, if there are food allergies or other medical, religious, or dietary needs, please let us know when you sign up so that we may make adjustments, as needed, to your share. What if I can't figure out how to use all my vegetables? This is one of the many joys of a CSA! And if you love to cook, you will love a CSA! But if you are new to cooking or new to making the "real food" committment, don't worry! We were all there once too. For that reason, we love to share cookbooks, preservation techniques, and recipes to help make your CSA cooking a little more enjoyable. What if I decide a CSA share just isn't for me? We really hope that this is never the case, but unfortunately, reality tells us otherwise. Before you sign up, please understand that you are making a committment to your family to provide fresh, local food and to us, to support our farm for the coming year. That support helps us do what we do. The longest commitment you make is for 1 year, and you are never obligated to be a part of another CSA, so please also take that into consideration. However, we do realize that sometimes unexpected life changes happen and we can't always fulfill our commitments. Please let us know as soon as possible if this happens to your family. We usually require 1 month's notice to stop your CSA share. If you are able to find someone to "take over" your share, there is no penalty and everything continues as normal. If that does not happen, we may require forfeiture of some, or all, of your installment payment, depending on the point in the season of your departure. We really do not want to be harsh about this, as all of you all truly are members of our farm family, but we want to be able to share our farm's harvest with as many people as possible. Can I give a CSA as a gift? Yes, Absolutely! What a great idea! 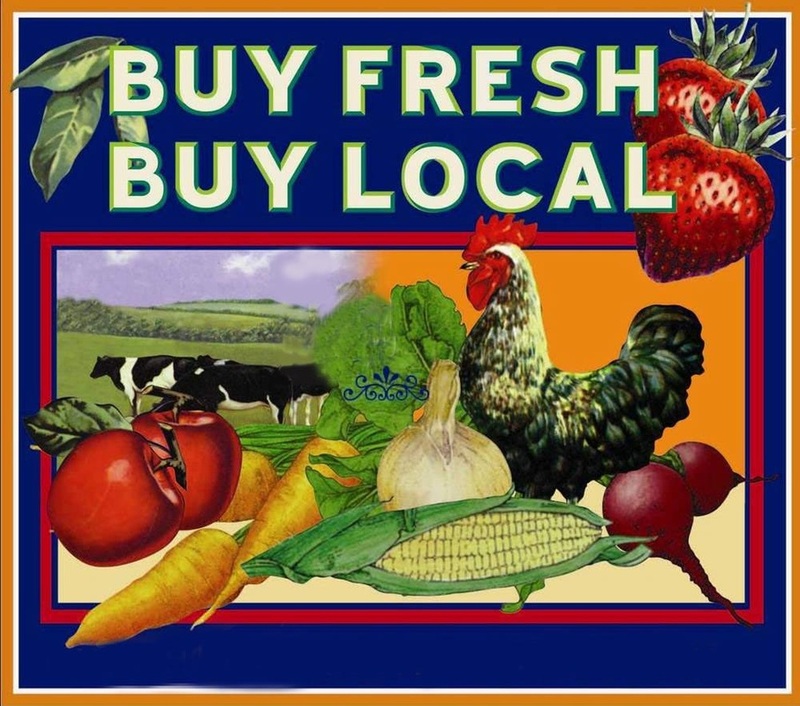 What could be better than the gift of fresh, local food year 'round? Just contact us for gift certificates and we'll have your gift set up in no time!